Hammertoes are the unnatural curvature or bending of the toes. 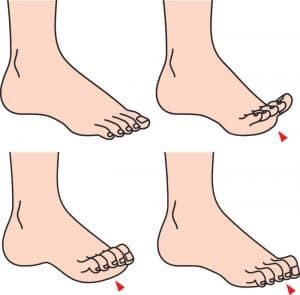 Hammertoes are usually defined by the ends of your toes pointing down and the first joint of the toe pointing upwards. When viewing a hammertoe from the side, it vaguely resembles the letter “V” upside down. 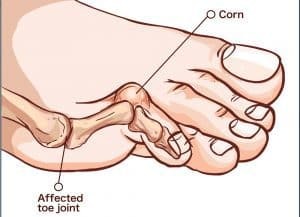 If you think you are suffering from Hammertoes then give us a call on 01386576128 or get in touch via our contact page to arrange an assessment to see how we can help you.